Always send a clear description of malfunction together with the suspicious electronic part. 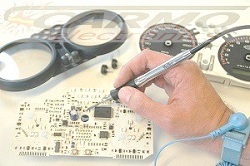 In this case Carmo electronics guarantees testing, repairing and sending back the unit within 3 days. 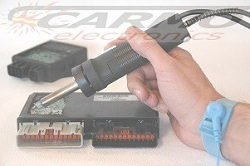 For expert advice or questions about the extensive possibilities and prices you can contact Carmo electronics by phone: 0031 492 565220 or check this website.